Bill Hicks designed, Chatsworth built masterpiece in what is arguably South East Oakville’s most desired pocket! Almost 10,000 square feet of luxury over three levels offering 5.1 bedrooms and 6.2 bathrooms. 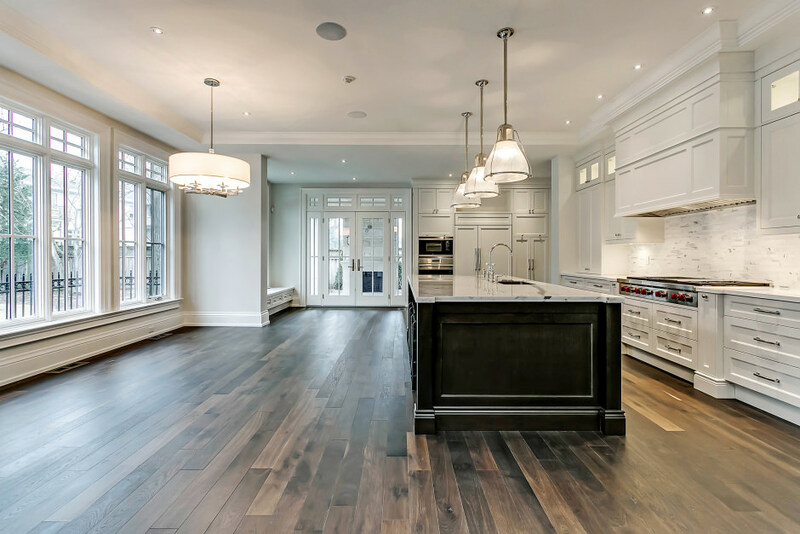 The unparalleled attention to detail is evident in everything from its exquisite millwork, to the smart LED lighting design and highly functional floor plan, which includes a second level laundry room and a self-contained nanny suite. A timeless stone exterior opens to an impressive foyer with 20’ ceiling. High-end materials and finishes throughout include Carrara marble tile and wide plank oak hardwood flooring, double-height crown moulding, and built-in audio system. The heart of the home is the open concept family room and gourmet chef’s kitchen with custom cabinetry by Cameo Kitchens. The space boasts panoramic windows and multiple walkouts to the spacious rear yard and outdoor living room with wood-burning fireplace and dining area with central chandelier. Double skylights inset a vaulted ceiling flood the upper landing with natural light. Your true master retreat includes a gas fireplace with marble surround, two Juliette balconies, separate His and Hers dressing rooms, and an elegant 5-piece ensuite. The fully loaded lower level with heated flooring is an entertainer’s dream. A wet bar and temperature controlled wine cellar overlook an expansive entertainment room with gas fireplace and ample natural light. Double glass doors open to an exercise room with access to the spa, with steam shower and cedar sauna. The private, oversized lot boasts professional landscaping serviced by a full irrigation system. 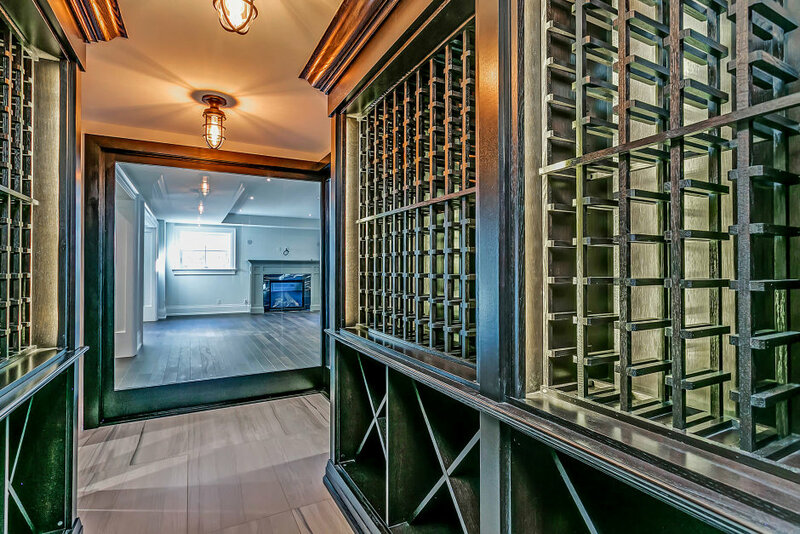 No comfort or luxury has been overlooked, from the dual heating and cooling systems, to the finished triple tandem garage, to your own private elevator! Simply exquisite.